Dog Grooming Brush – How to Choose the Right One For Your Dog? Which is the Best Dog Grooming Brush? Dog grooming brush can be handy and at the same time an immensely powerful tool. A good dog grooming brush will undoubtedly transform the grooming experience for you and your favorite dog. In this article, I will share with you some tips and tricks and also review a couple of good quality grooming brush for your dog. If you pet a Dog, you know how everything from innocence, playfulness, happiness, and obedience is wrapped inside this furry, adorable little body. A long shiny coat is something I and my Pet, together, work on. And Why not? Don’t you wish to have a good shiny mane for yourself? It just sets the routine where you take proper care of yourself and over a period of time it becomes your habit. And Good habits better stay. I am a lazy bum and thinking of Dog grooming did seem like a task, but you know what- it might sound cliched but it is all in your head. Once you gear up with dog grooming brush trust me this little tiny four-legged ball of fur will make sure you fall more in love with him and eventually with the grooming process. One of the most important factors of grooming was Brushing. I would like to share some of my learning and experiences during my usage of a dog grooming brush, that I hope serves as a good basic of Dog brushing. 1.WHY IS GROOMING BUSH NECESSARY? Well, why do you comb your hair? 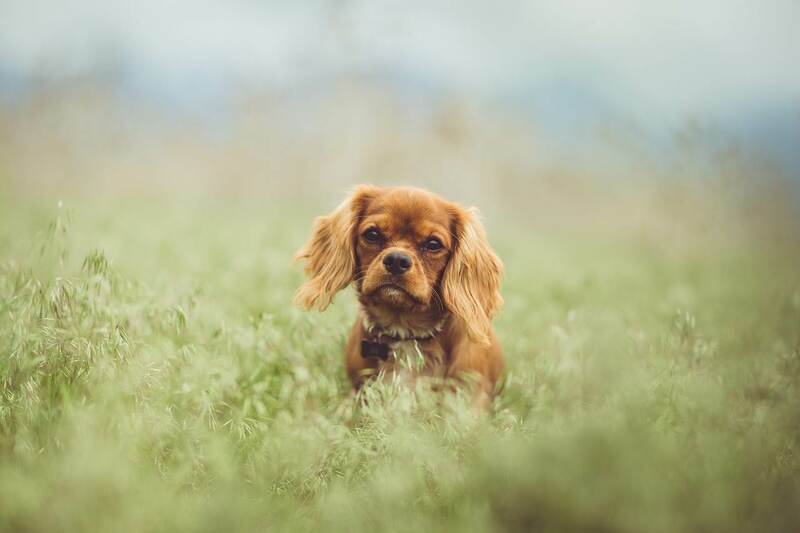 Even dogs need a good amount of help in detangling their hair, remove excess hair and to distribute the natural oils evenly throughout its skin and fur. This way your dog can have a Healthy shiny, detangled hair and a dog grooming brush help in doing exactly that. You need to use a brush to comb Dog hair. You need to understand the type of coat your dog has and then decide upon a brush. A Pin might be required to brush breeds with long hair like Collies and a rubber brush for breeds with short hair like Labradors. You can even opt for a hound glove which is like a glove and fits your hand well, You might just brush the coat by moving your hand along the coat and your dog might fail to notice that it is brushed. Brush outwards, away from the dog’s skin. Also, brush in the direction the coat grows. Be gentle and look for knots or tangles and ease it smoothly just like you do with your own hair when it is stuck in comb teeth. During the process, if you happen to notice mats apply some mat spray and let it stay. Later with a wide-toothed comb get through the tangle, if unsure about getting rid of a mat then take your dog to a Vet. Breeds with long hair like Tibetan Terriers might need a brush weekly while short coated ones like Greyhounds might need it once in a couple of weeks. Well this time with your pet is more than just hygiene and maintenance, make sure you are gentle and make it a pleasant experience for your dog, besides that also make a note of any skin changes, or cysts or fleas in the fur, you can monitor the health of your dog and take timely actions. After all having a well-groomed dog is not just about good smell and clean fur but about overall health. So this grooming and brushing time does serve the purpose of having a healthy mate for a longer time. Besides the tips, I would like to review below two Dog grooming Brushes that I use on my Pet. Now, this piece has different spaced rounded teeth and the shape gives a good grip. It manages to get down to the undercoat when the coat is dense and removes mats cleanly without much effort. In fact, the teeth of this comb are so well designed that it has cut short my grooming time. Besides that, I also use it to spread across the medicated shampoo on my dog’s fur during a bath. This does a good job and when it is not the usual shedding season I tend to use only this for a clean set of groomed hair. I Use this mostly during the shedding season. You have variants in this product suitable as per the length of your dog’s hair. It helps de-shed a good amount of hair and reduces the frequency of de-shedding you might have to do otherwise, if you have been trying various ways like boar bristle brushes etc, this will not disappoint you as it will only make you realize how simple of a job is when it comes to de-shedding your pet. My Dog also reacts well to the brushing and I have seen the difference in the quality of coat so I do recommend this product, however you need to be careful with the bristles as they are sharp and don’t overdo it. I went on to suggest this very same product to many of my friends and all are grateful to it. Expensive in comparison to other options in the market. Chances of increased irritation if used wrongly.